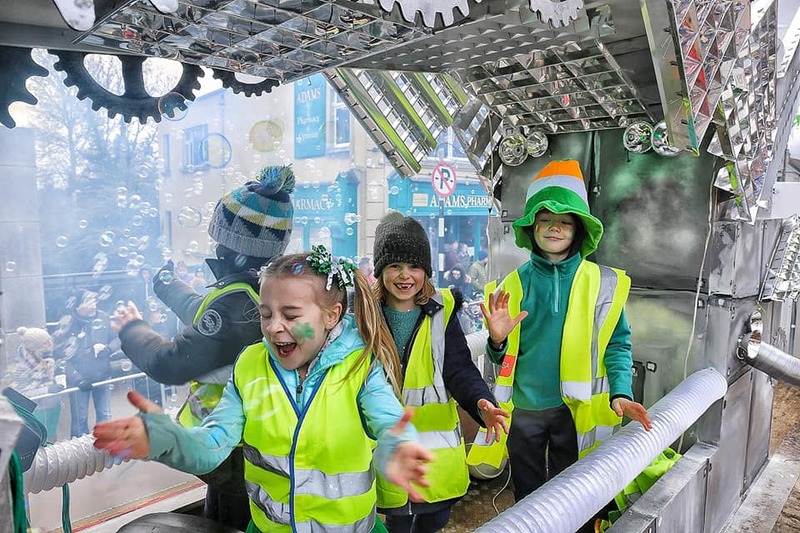 For the second year in a row, a collaborative entry by local businesses, community groups and Green Schools won the ‘best business entry’ at the Tullamore St. Patrick’s Day parade. 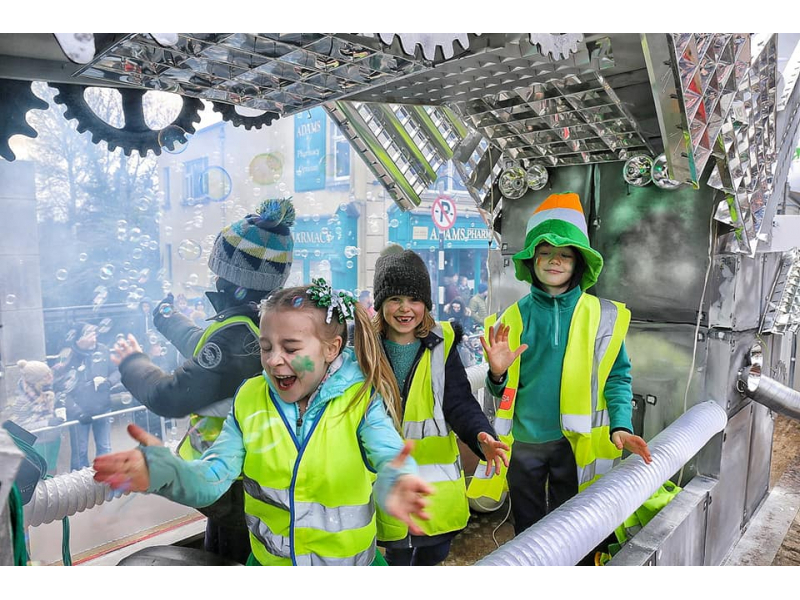 KMK were joined by Dotser Web & Marketing, Little Big Town Kilbeggan, Long Haul Commercials, Tullamore Tidy Towns and school children from the Green Schools initiative in Scoil Mhuire, in creating a float entitled ‘Circular Economy’. 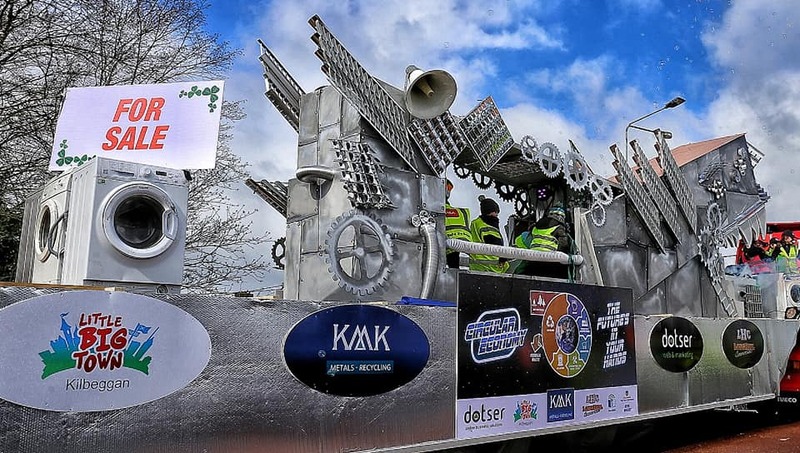 The theme of this year’s parade was ‘The Future’ and with the parade held the day before ‘World Recycling Day’ it was fitting that the float focused on the key principles of the Circular Economy. 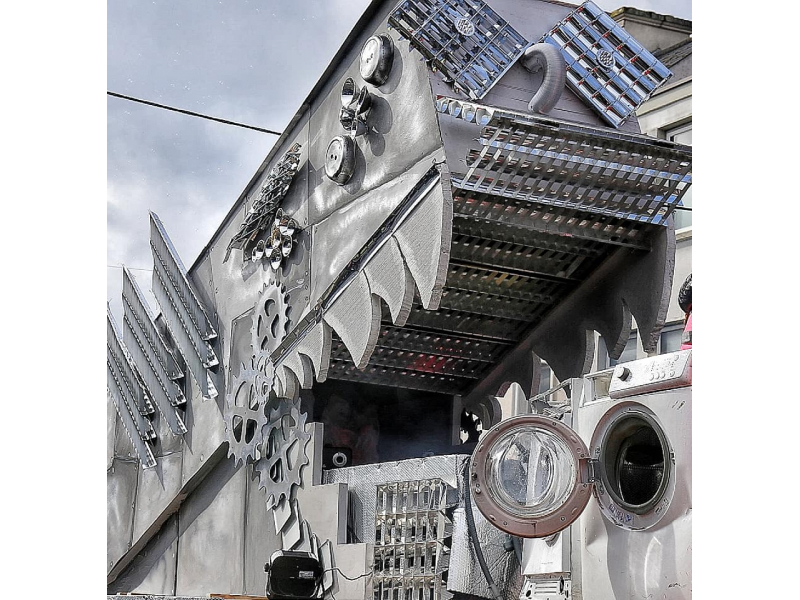 It demonstrated the proposed life cycle of electrical and electronic goods, which are collected by KMK Metals and recycled at our plant in Tullamore, extracting the valuable materials which are then processed to make components of brand new products to complete the full circle. Estimates suggest that the global population will reach close to 9 billion by 2030. 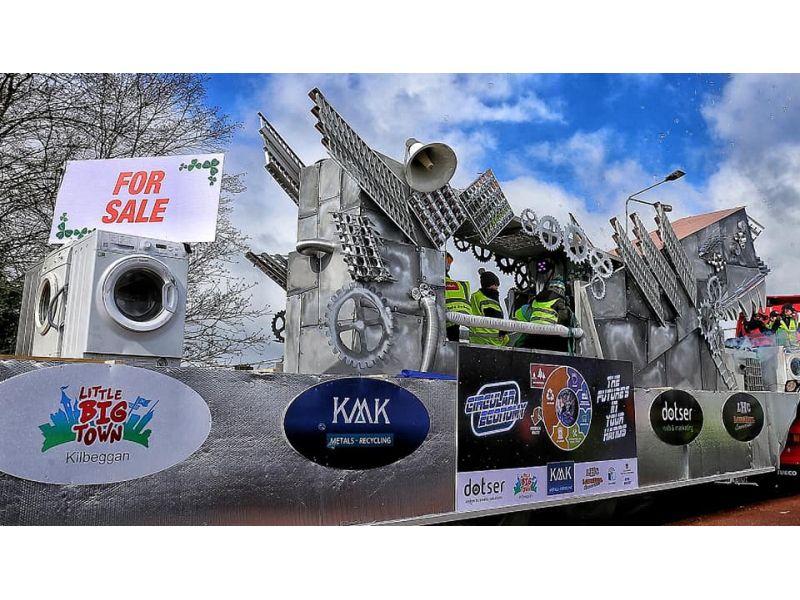 This places unprecedented pressure on natural resources to meet future consumer demand. 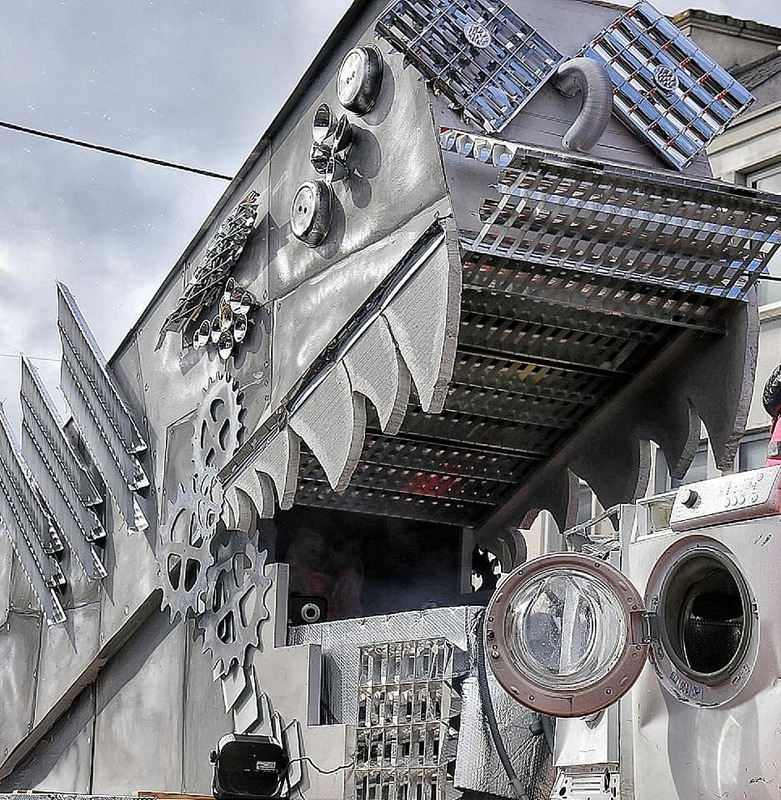 The circular economy is a redesign of this future, where industrial systems are restorative and regenerative by intention. Nothing that is made in a circular economy becomes waste, moving away from our current linear ‘take-make-dispose’ economy. The circular economy’s potential for innovation, job creation and economic development is huge: estimates indicate a trillion-dollar opportunity.